Angel stepping stone with heart cutout; dimensional angel motif in flowing hair and robes; Forever with the Angels. Always in our hearts. Approximately 11" square stone for memorial garden; resin with the look and feel of natural stone. Joseph Studio Collection. 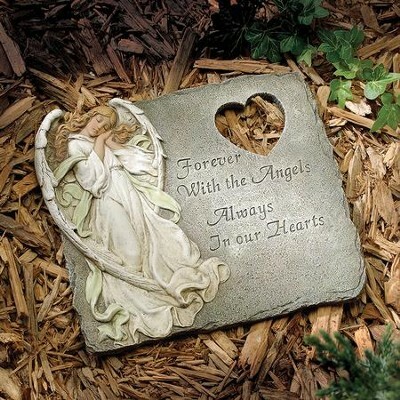 I'm the author/artist and I want to review Angel Memorial Garden Stone.